Not sure if I wanna smell like them, LOL, but they are freaking hot!!!! 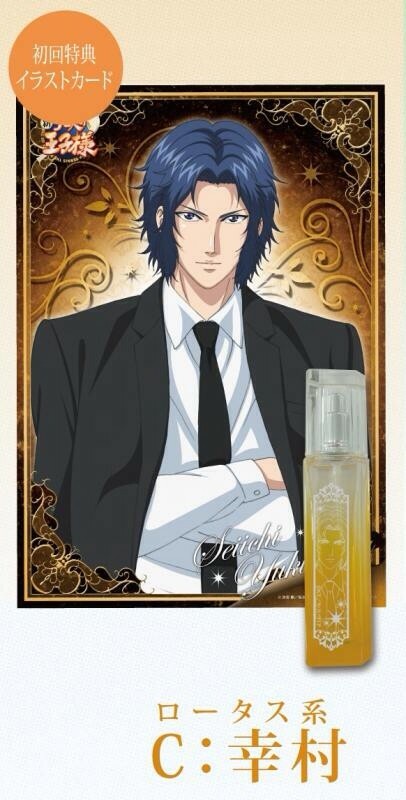 I don't know about the scents, but the bottle design, particularly Ryoma's looks so pretty! *__* LOL It seems like they'd been making a lot of perfumes for various animes this year. 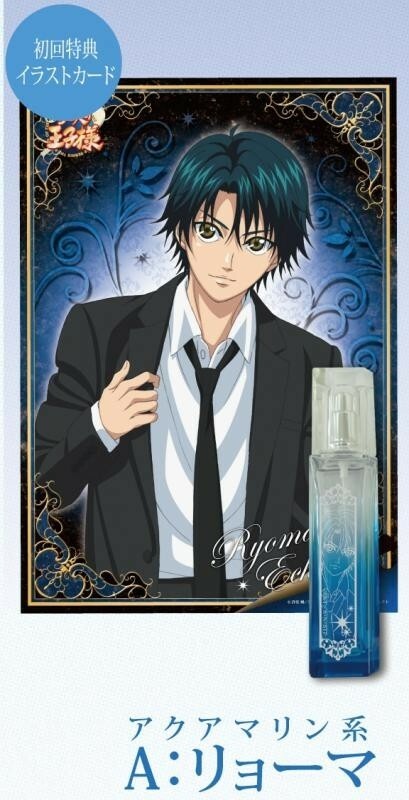 I really want ryoma's perfume ;w; but as it seems it's really expensive .. It's 30 euros as i saw, it's okay i won't ask her XDD Last time i asked her to preorder something for me it was sooo expensive at the end because of fees ^^"
Hehehehe I see =) How much will it be after all the fees? I see, it's no doubt that they will have to ship him EMS because it's fragile, it won't be less than 2500yen. 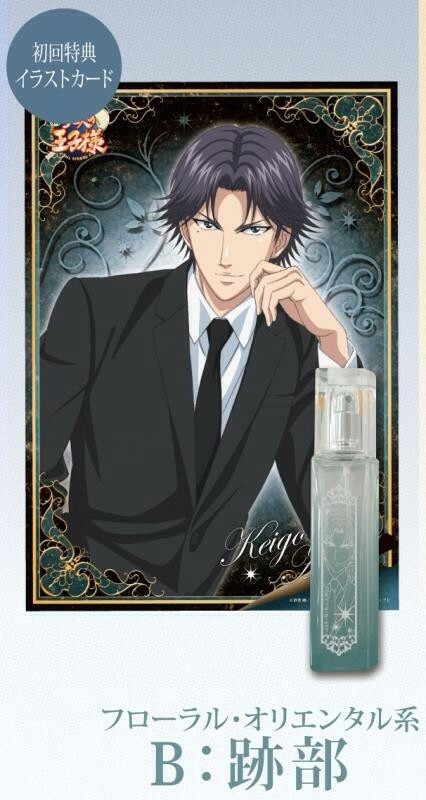 That Atobe one is the sexiest picture I've ever seen of him in a suit. Definitely userpic material when I get around to it. 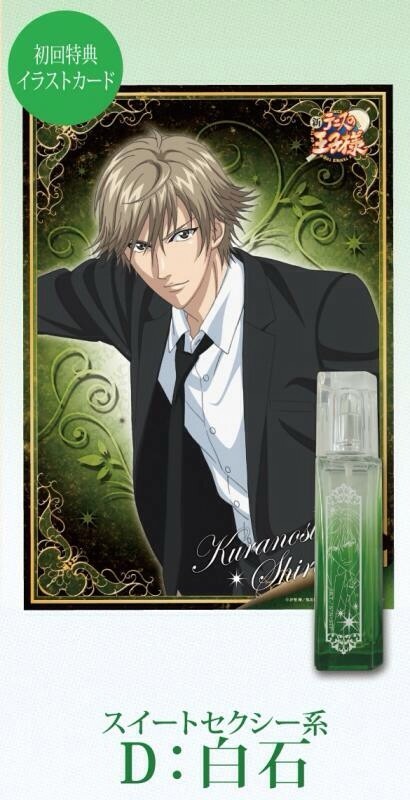 And the Shiraishi one is hot too.